It’s always interesting to read about others in your profession, how they got where they are, their passions, tastes, and aspirations. I’ve always admired Chef Marcus Samuelsson from afar, so reading about his life was an intimate look at how a great chef is made. Not surprisingly, it’s through an unwavering determination and living life solely for a kitchen. When I was preparing to attend culinary school at ESCF-Ferrandi in Paris, I remember driving to and from my office job listening to Anthony Bourdain in Kitchen Confidential rant about his life in the kitchens and what drove his passion as a chef. I was single, not yet thirty, and ready to take on the world. Much of my love for yachting was based on the debotcherous, pirate-esque lifestyle of anything goes, and nothing is routine. I was ready for the adrenaline, the action and intense pressure of all or nothing. And, I’m here. I’m in San Remo working with friends and loving my job even though it means I’m hundreds of miles away from my new husband, and I feel guilty. This is what I’ve dreamed about for years, why I sold my house, my car and went into unspeakable debt. This was all I’ve wanted, before I met my husband. At the time, the idea I would end up married with anyone worthy seemed as unlikely as me winning the lottery. So it just never factored into my future. After reading the passion and drive that Chef Samuelsson has for food, kitchens and the whole of the culinary world, I’m sad. Granted, as Chef Samuelsson points out, there are not many black chefs. Unfortunately, besides economic reasons (as explained in the book), it was all down to racism. So what about women? Sure you could say we are physically weaker, cannot handle the 16 hour days like a man, we complain more and fall ill faster, and one can’t physically or mentally assault women like men in the kitchen, they cant handle it. My personal experiences would say otherwise. I’d like to think that none of this is my problem, and I believe I’ve proven myself in some tough French kitchens. But, you know why there aren’t many women in a kitchen in my opinion? I think there is one other really big reason, my reason….because if we want children, we have to choose. We have gender roles to fill that the recent decades haven’t abandoned. I keep thinking about how I could continue working in what I love when I have children, as a yacht chef it would mean being away from them for weeks if not months at a time. Chef Samuelsson discusses his child who is born when he is only 21 and in the middle of his career, and how the mother of the child says he needs to do nothing. He mentions working harder to send money home to care for his daughter after his parents convince him its the right thing to do. And no one would judge really, no one could argue that he didn’t really do enough considering the circumstances. Now roles reversed. If a female chef became pregnant, how long before she had to leave the kitchen or expect help from her colleagues who are mumbling under their breath; “this is why there shouldn’t be women in the kitchen”? If she were to find the father and leave the child with him, could she freely pursue a career and send money home every month to no shame? 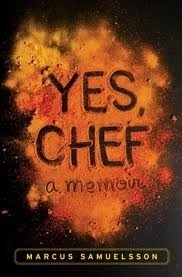 I honestly loved this book, ‘Yes,Chef’. 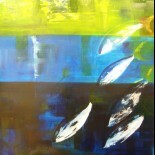 It inspired me and made me feel better about loving what I’m doing and the decisions I have made. I loved the imagery of Chef Samuelssons travels and discovering new tastes, finding out how a chef creates his own tastes and cuisine. I understood his descriptions of French kitchens, and why they are especially challenging for American comis. I agree with him on the role of classical French cuisine and the future of food. However, it made me sad to read because I feel trapped as a women in this profession, having to choose between my love of a family and my passion for my career. You can buy ‘Yes,Chef’ by Marcus Samuelsson, here. This entry was posted on 29/06/2012 by RuedOdessa in Cuisine, France, Restaurant and tagged Africa, biography, Book, chef, cook, cooking, Ethiopia, Marcus, memoirs, new York, Samuelson, Swedenbook.